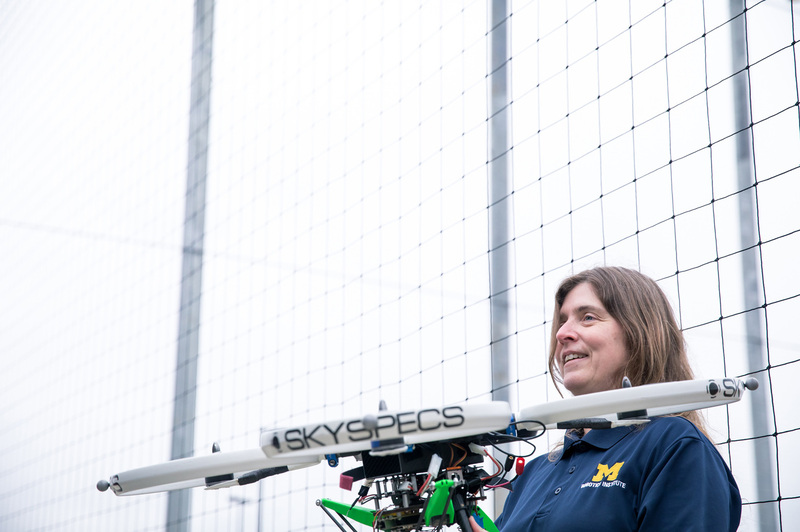 M-Air is a new outdoor fly lab for testing autonomous aerial vehicles at the University of Michigan. 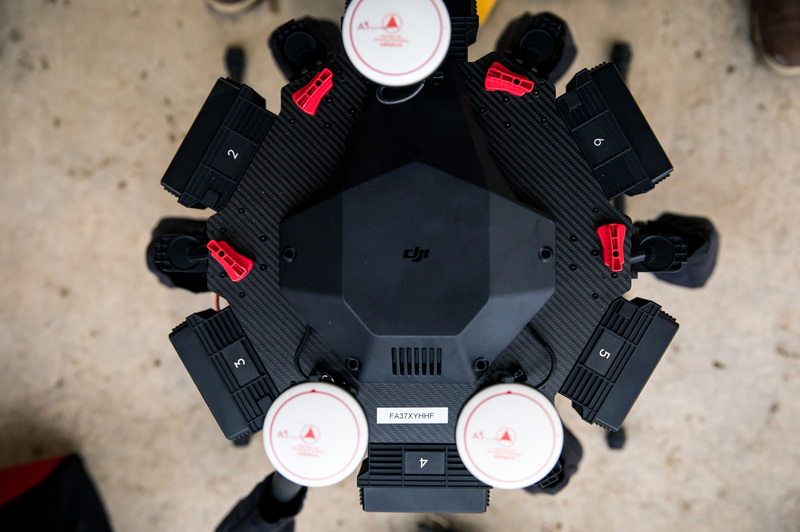 It lets researchers and students safely push algorithms and equipment to their limits. M-Air is an $800,000, netted, four-story complex situated next to the site where the Ford Motor Company Robotics Building will open in late 2019. 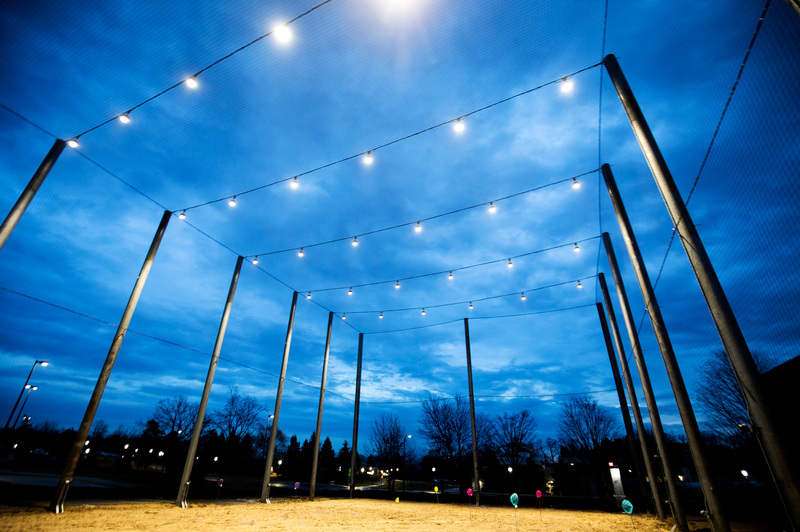 With 9,600 gross square feet, it has an 80-by-120 footprint, and stands 50 feet high. A pavilion for up to 25 people can host users. 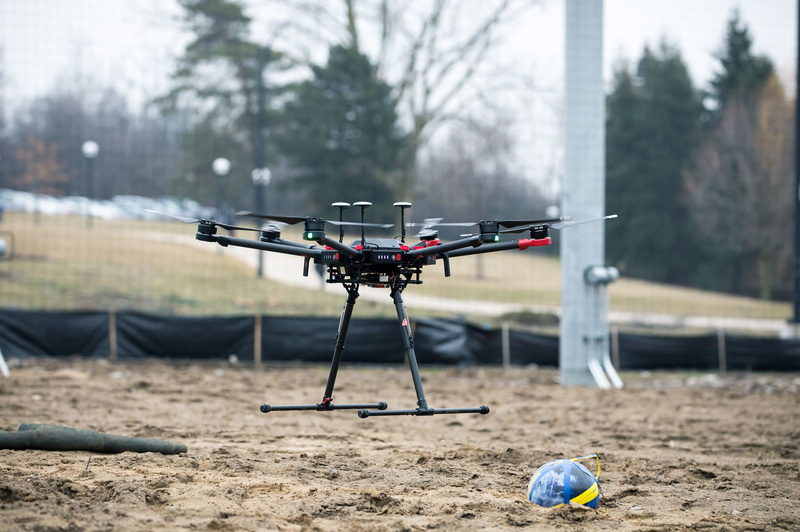 An outdoor fly lab for testing autonomous aerial vehicles is open for use at the University of Michigan College of Engineering. 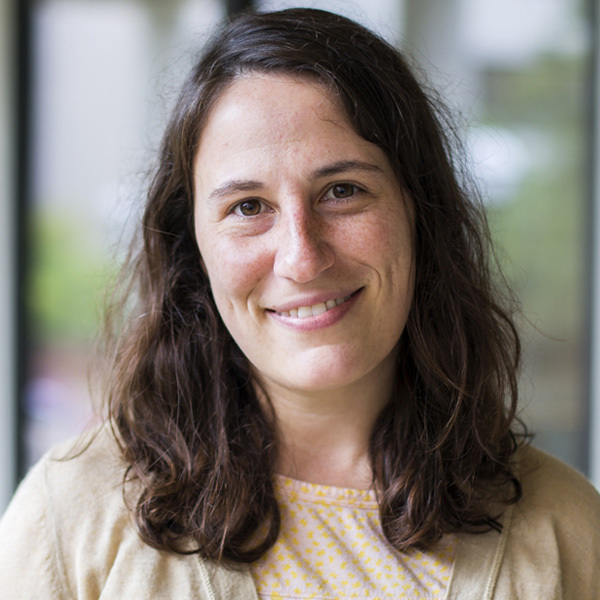 M-Air will let researchers and students safely push algorithms and equipment to their limits, says Ella Atkins, professor of aerospace engineering. 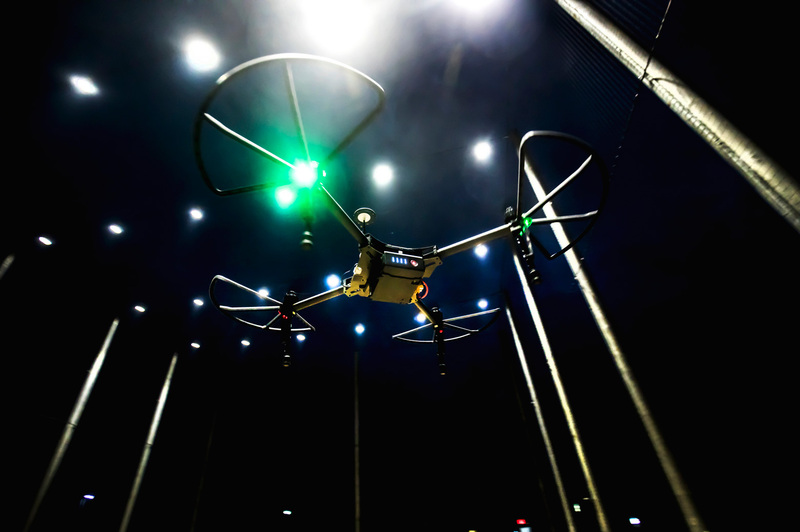 Autonomous aerial vehicles have a host of applications, beyond delivering packages. Large ones can be used for commercial transport and national security, researchers say. Smaller drones could scout disaster sites, inspect infrastructure like bridges and wind turbines, and perform other jobs that are dangerous for humans. They could also gather environmental and atmospheric data. 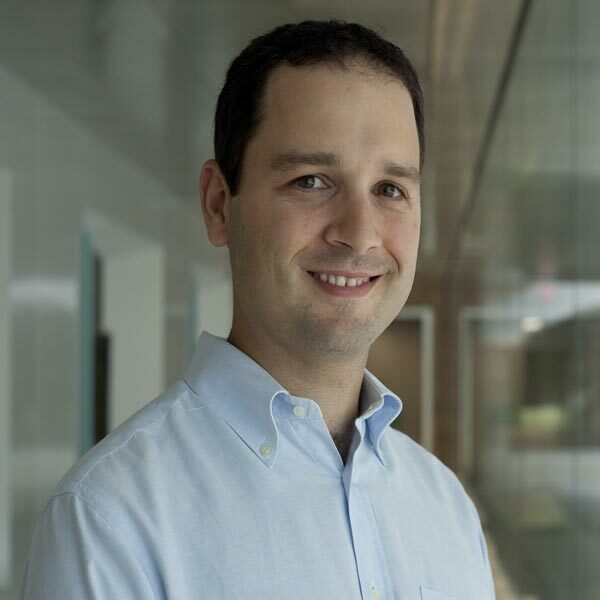 Dimitrios Zekkos, associate professor of civil and environmental engineering at U-M, works on a team that’s using specialized drones to survey and 3D-map areas stricken by hurricanes, earthquakes and landslides. 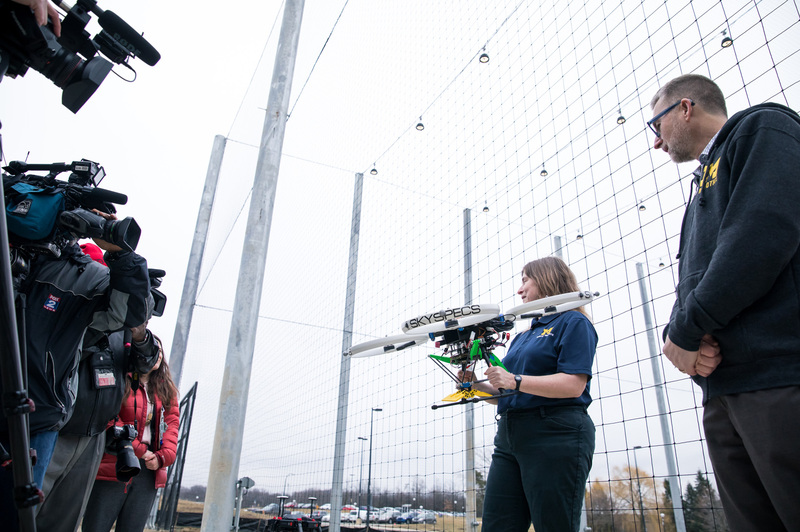 On Wednesday at M-Air, they demonstrated how they can use a drone to drop a 15-pound weight and, with sensors, record the shockwave on the ground, giving them valuable insights about what’s happening below the soil. Atkins says we may be seeing drones working closer to the ground as well. She’s in the early stages of developing roofing robots that can ferry shingles, and eventually position and install them with a pneumatic nailer. M-Air will also help her test algorithms for control of larger autonomous aerial vehicles with scale models in free-flight. “Flying robots will allow us to carry payloads and sensors to locations that ground robots simply cannot access. At U-M, we’re routinely taking our robots under the seas, walking over difficult terrain, or navigating collapsed buildings, and now we’re proud to add M-Air to the list of environments where we can put our robots to test,” said Jessy Grizzle, director of robotics at U-M and the Elmer G. Gilbert Distinguished University Professor of Engineering, Jerry W. and Carol L. Levin Professor of Engineering in the Department of Electrical Engineering and Computer Science. 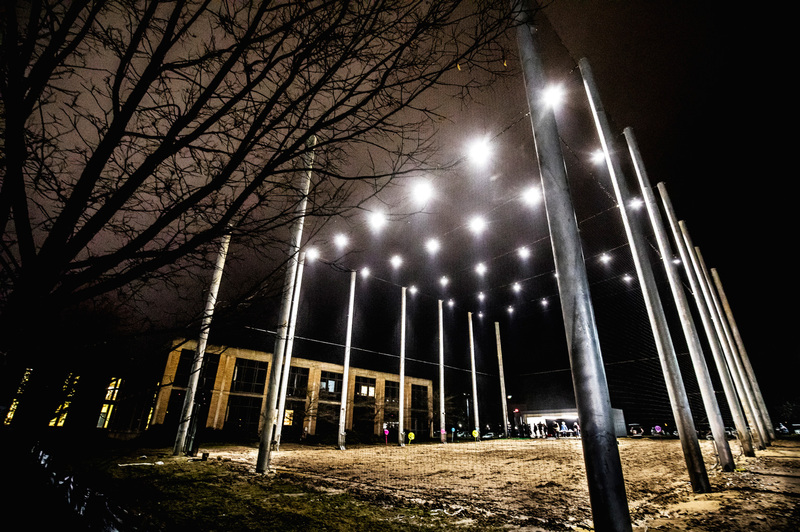 M-Air is an $800,000, netted, four-story complex situated next to the site where the Ford Motor Company Robotics Building will open in late 2019. With 9,600 gross square feet, it has an 80-by-120 footprint, and stands 50 feet high. A pavilion for up to 25 people can host users. Flights at M-Air are considered indoors. 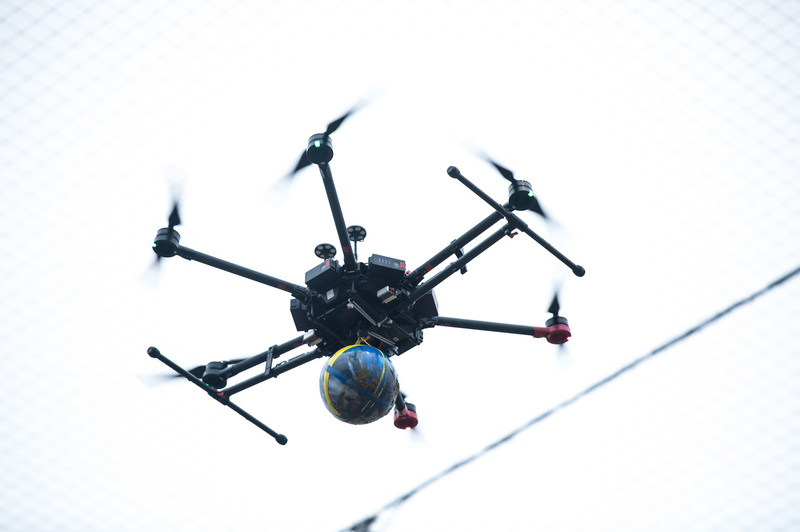 They don’t need to go through U-M’s typical outdoor drone flight approval process, which is due to safety concerns about interference with hospital helicopters and other aircraft. 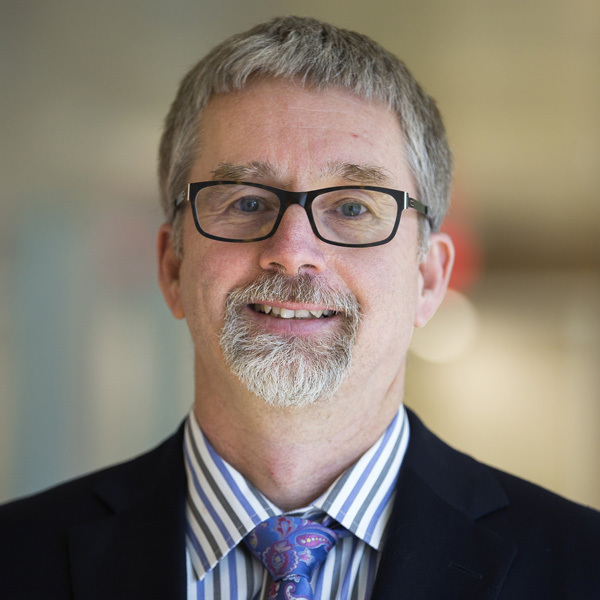 “Michigan Engineering is now the only engineering school or college in the country—perhaps in the world—with access to cutting-edge robotics test facilities for land, air, sea and space,” said Alec D. Gallimore, who is the Robert J. Vlasic Dean of Engineering, the Richard F. and Eleanor A. Towner Professor of Engineering, an Arthur F. Thurnau Professor, and a professor both of aerospace engineering and of applied physics. 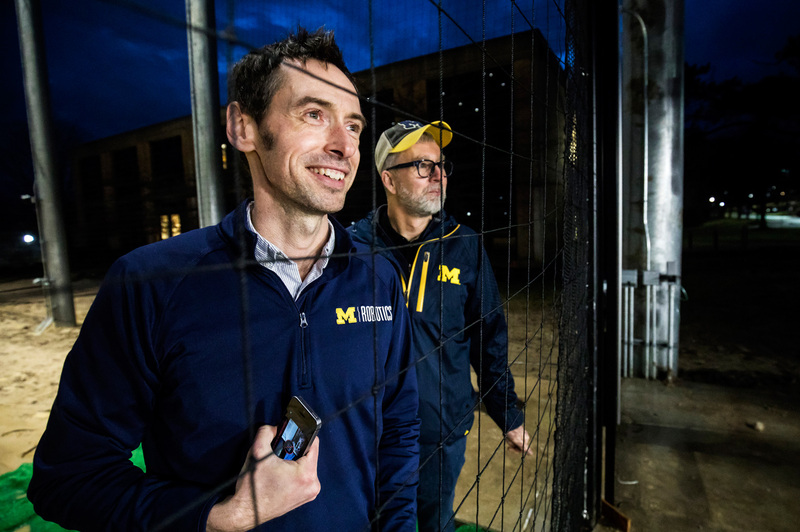 M-Air is down the road from U-M’s one-of-a-kind Mcity Test Facility, a simulated urban and suburban environment where academic and industry researchers test autonomous and connected vehicles. 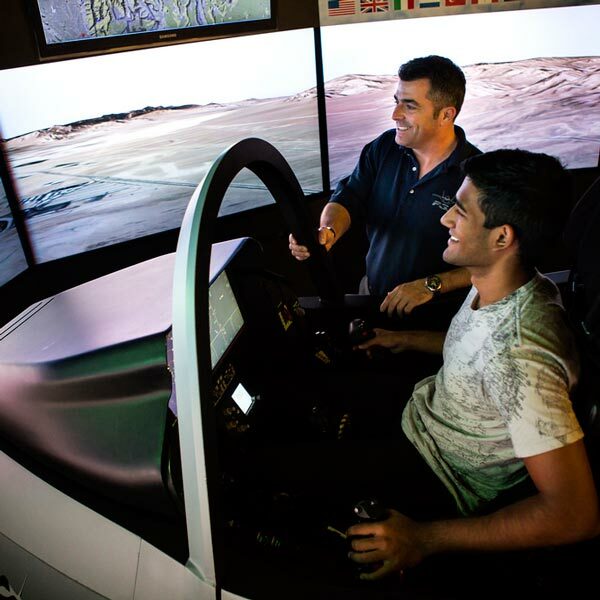 The college is home to the Marine Hydrodynamics Lab, which houses a 360-foot-long indoor body of water for testing robotic and conventional watercraft. And its Space Physics Research lab develops and tests robotic spacecraft for deployment across the solar system. 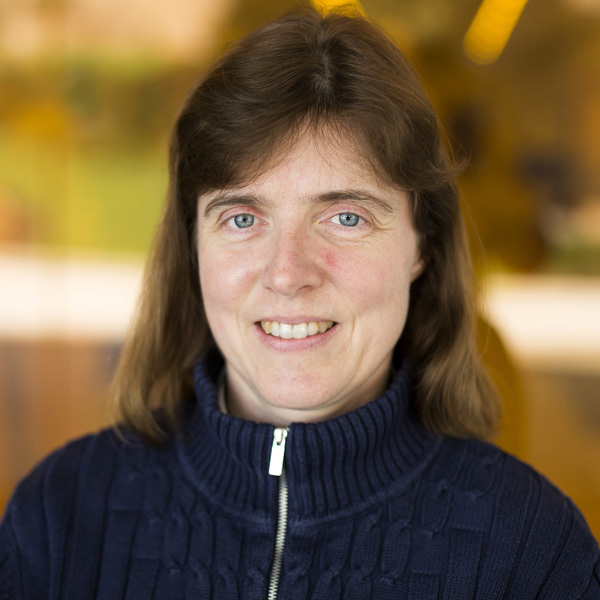 The facility is funded by Michigan Engineering and the U-M Office of Research.